Contour Latest News from Contour kitchens Why choose a German Kitchen? Making sure contemporary kitchen designs meet the fast-paced and specialised conveniences of modern living is something we strive towards at Contour Kitchens. It’s because of this dedicated and deep-rooted ethos, we’re proud to work in partnership with leading German kitchen designer, Leicht. The premium brand has been at the forefront of designing luxury and bespoke kitchens for more than 80 years. Well, German designers are renowned for carefully combining material, texture, colour, architecture and light to bring the kitchen to life. Leicht kitchens, in particular, have no limits to individual kitchen planning and are focused on offering a space where the family can converge to cook, relax and feel comfortable. The word Leicht actually stands for lasting value, durability and aesthetic quality. They believe - just as we do - in creating a kitchen that is personal to you. 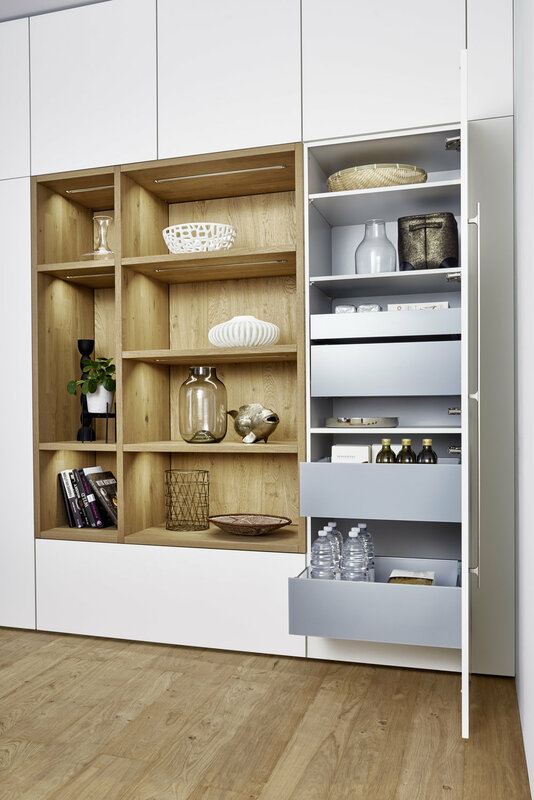 As the only German kitchen designer to win last year’s Plus X award for Most Innovative Brand of the Year, we believe Contour's passion in creating beautiful and functional spaces go hand in hand with Leicht's timeless designs, international appeal and unmistakable style. If you are unfamiliar with a Plus X award, it is the world’s largest innovation award for technology, sports and lifestyle. It honours brands for the leading edge in quality and innovation of their products. It’s through our valued partnership that we are able to offer superior kitchens of timeless elegance, that add the extra dimension of making the kitchen a practical and enjoyable experience for all.